The Catcher in the Rye may be the definitive coming-of-age novel for millions of people around the world, but not for readers in the west of England. 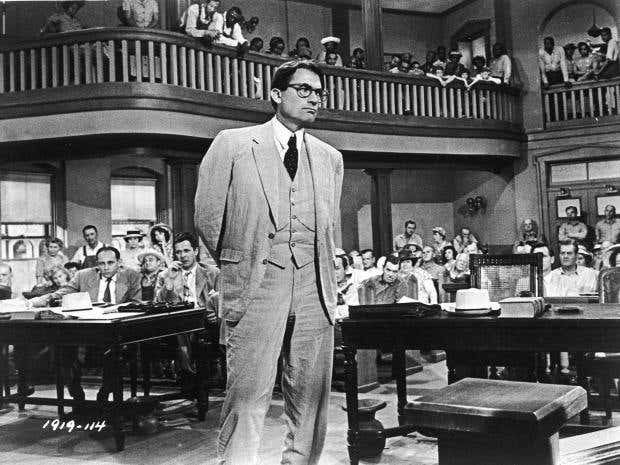 Visitors to the Bath Literature Festival have instead deemed To Kill a Mockingbird as the ultimate novel depicting the transition to adulthood. The surprise result came from an event staged on Sunday to debate the best coming-of-age novels as part of the “forever young” theme of the festival, which is celebrating its 21st birthday. Three cultural critics debated a 21-strong list that had been drawn up with expert advice, championing their favourites, and the audience voted on a winner. Viv Groskop, artistic director of the festival, championed Harper Lee’s novel about race relations in the American South seen through the eyes of Scout: “I read it when I was 13 and it changed my life,” she told the audience in Bath’s Guildhall. “It is the ultimate coming of age novel for me because it’s told from the perspective of a changing child beginning to see the world in more mature eyes. Lee died this month at the age of 89. The literary world was shocked last year when she agreed to publish a second novel, Go Set a Watchman, which was written prior to Mockingbird, and dealt with some of the same characters 20 years after the events of the first book. Mark Lawson, the writer and broadcaster, caused some dissent when he said that Go Set a Watchman “is better than To Kill a Mockingbird, for the reason that Scout has grown up”. JD Salinger’s The Catcher in the Rye was the focus of some debate. Ms Groskop said that it had topped many previous lists, but Mr Lawson called it “overrated”. Stephanie Merritt, the novelist and critic, championed Jane Eyre by Charlotte Brontë. “It gripped me completely, it was everything I thought a coming-of-age story should be,” she said. There was no presence of young adult fiction on the list, and while the Harry Potter series was mentioned, the panel decided to exclude the seven novels. “I wonder if the idea of coming of age is a literary idea,” Ms Groskop said, and added that the rise of the young adult fiction genre may stop younger readers tackling the classics at an impressionable age.